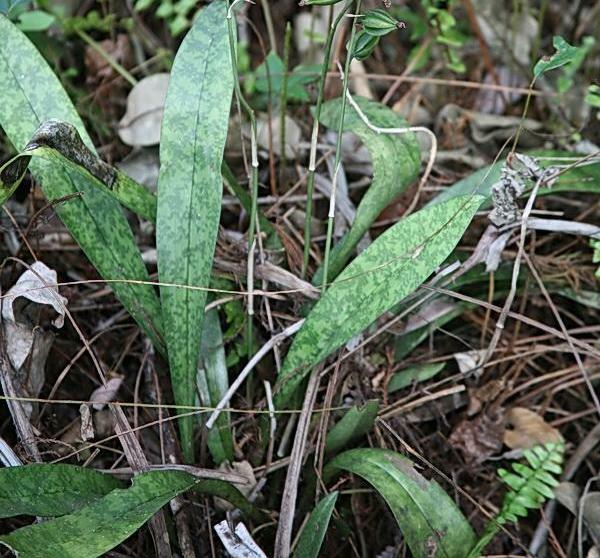 Oeceoclades maculata, the African Spotted Orchid, is native to Africa and Madagascar and is now found throughout the Neotropics, making it one of the most successful invasive plants. 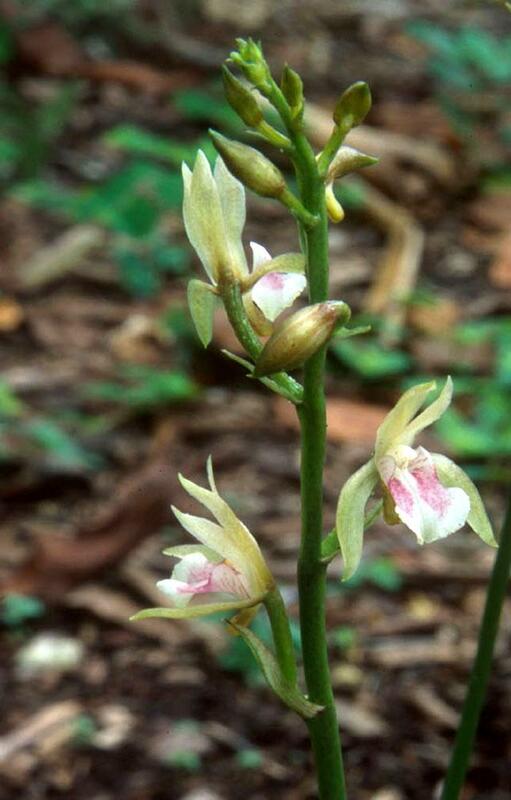 Discovered in Florida in 1974, this orchid is rapidly colonizing new habitats in the central and southern portion of the state. 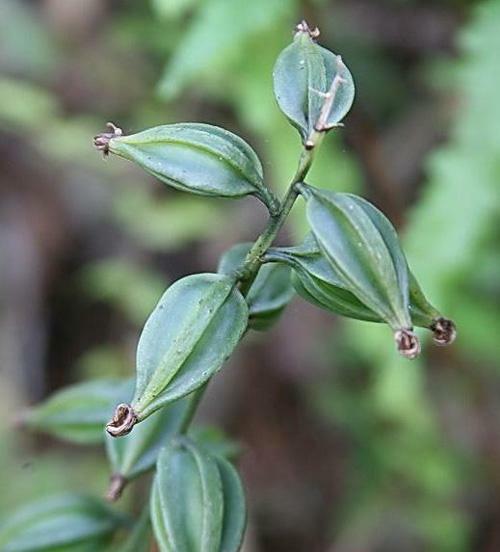 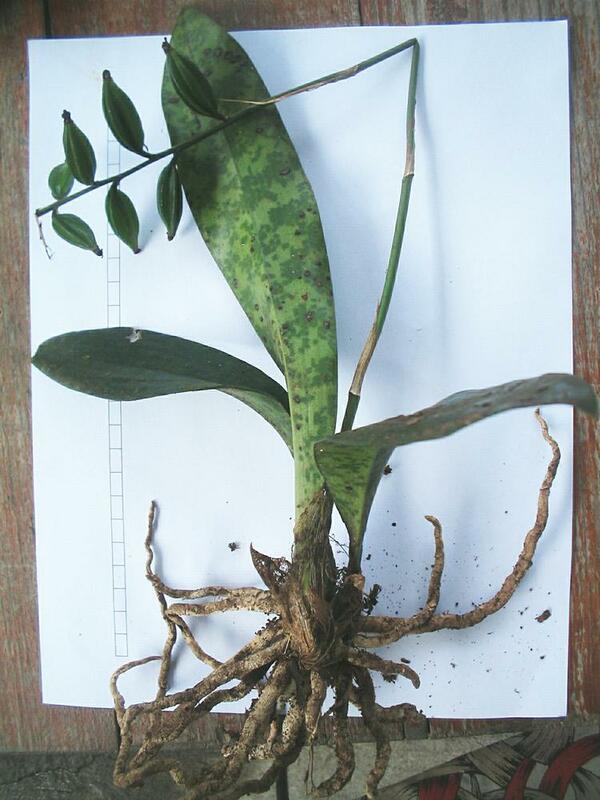 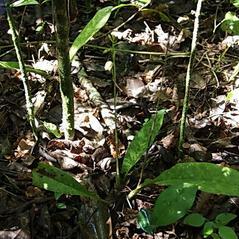 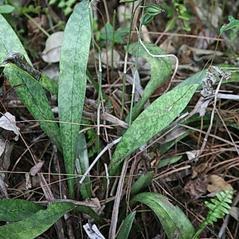 This invasive orchid has a solitary, dark green leaf with silver mottling that extends from the apex of a pseudobulb. 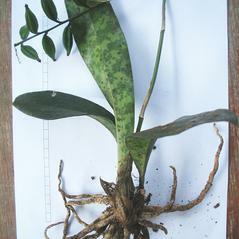 The inflorescence of 5-15 white and purple flowers is produced from the base of the immature pseudobulb. 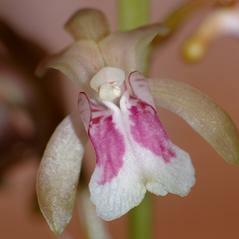 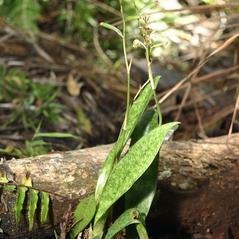 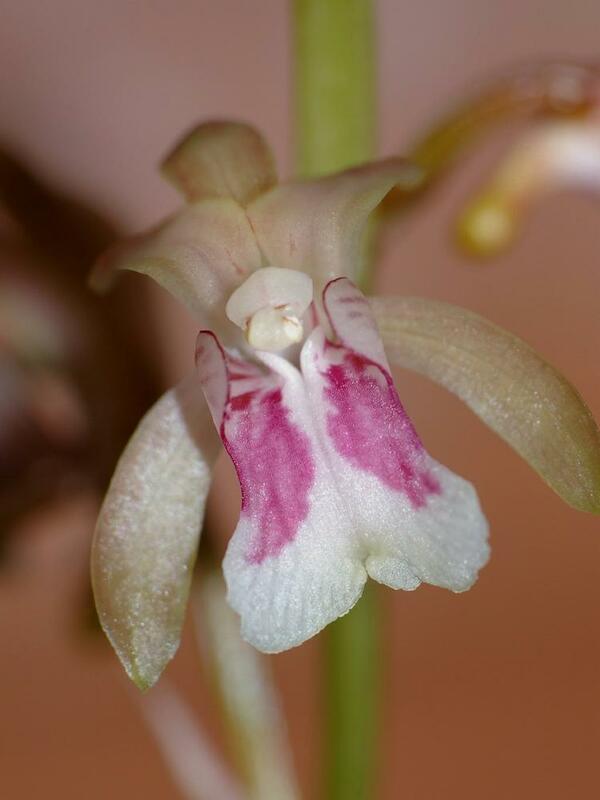 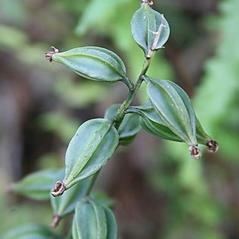 The white labellum is lobed with pink blotches and has a curved spur. 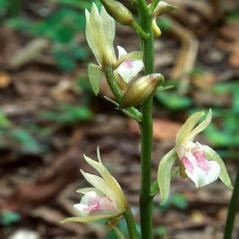 This orchid is found in a variety of habitats including shaded forests and disturbed areas. 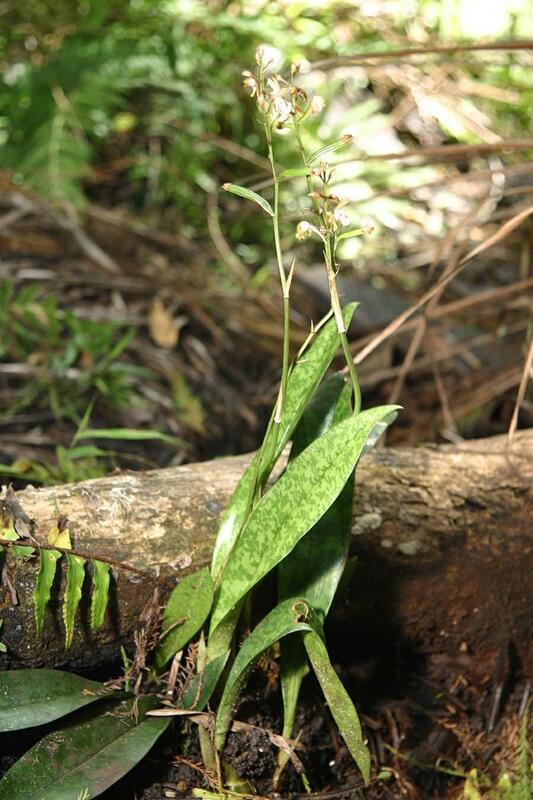 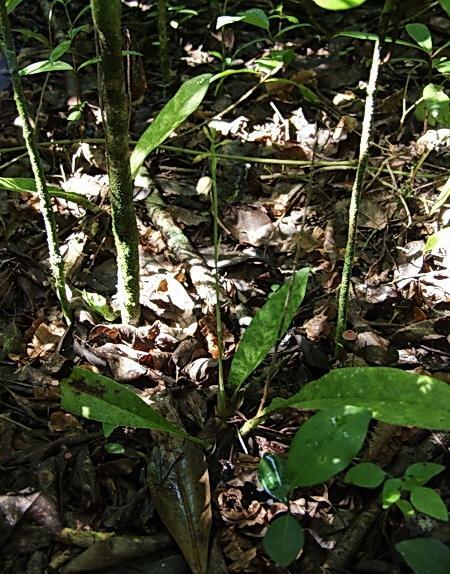 The conservation status of Oeceoclades maculata has not been reported but this orchid is included in the World Compendium of Weeds with specific traits related to reproduction and growth that facilitate its spread into new habitats.